Welcome to the Model I System Expander (MISE) Project! Direct-booting solid state hard disks on Compact Flash, with LDOS-5.3.1 preloaded. 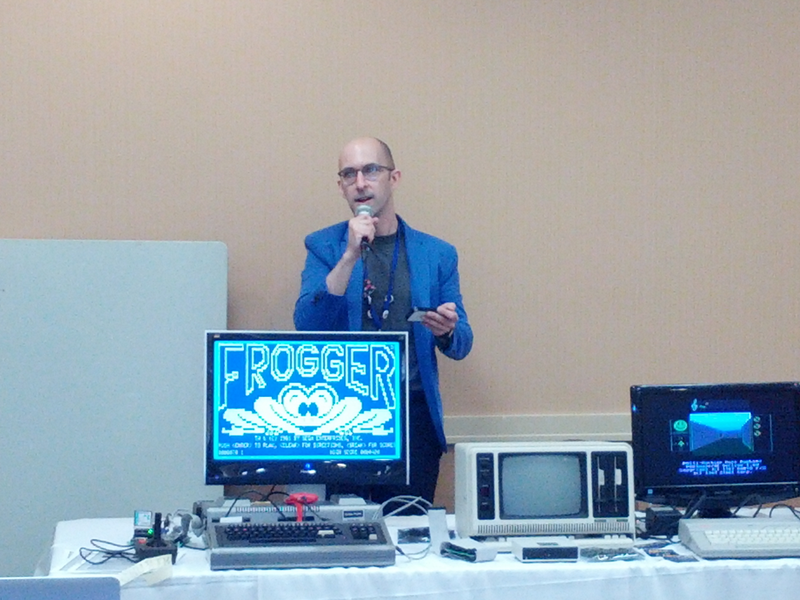 No boot floppy or ROM modification is required. Each bootable image can hold up to 64MB, and multiple images on CF cards are supported. That's a whole lot of space for programs mostly written for 16KB RAM. Dual CF cards can be used for additional storage or easy backup. 10/100 Mbps wired Ethernet connection (up to 8 active IP sockets) with included software: FTP and TFTP servers, FTP client, DHCP client, SNTP client, Telnet client, and Telnet server and DNS client demo programs. Globally-unique MAC address (EUI) provided. 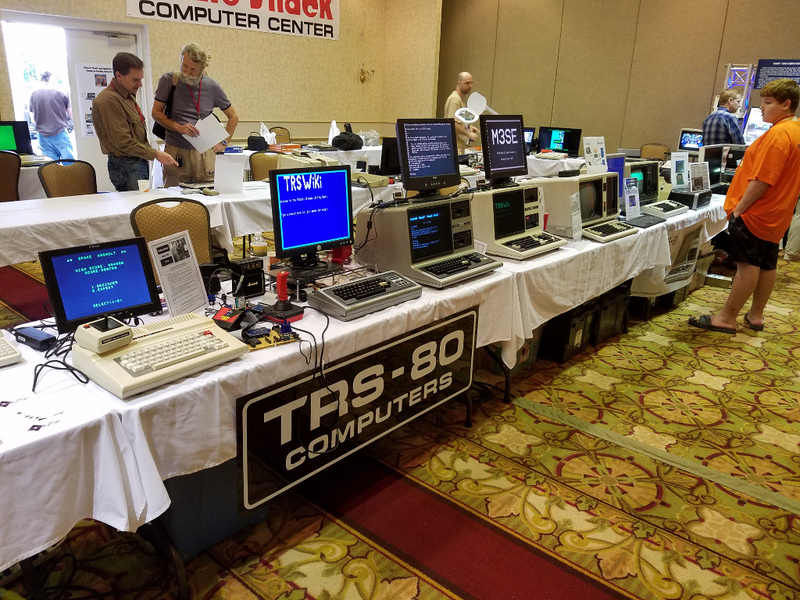 Easily move files to and from your TRS-80! Drag and drop! 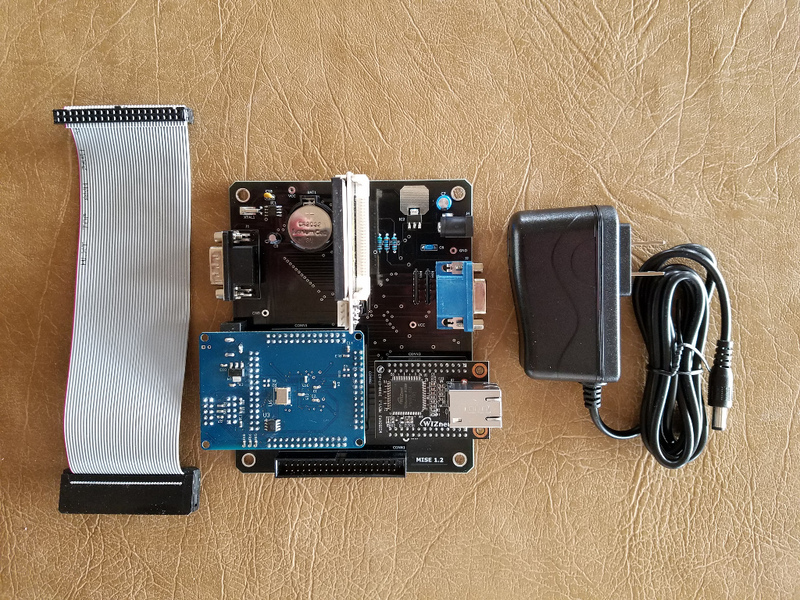 Real-time clock/calendar with battery backup, compatible with the vintage Alpha Products Newclock-80. Battery backup means the date and time will be accurate and automatically set at every system boot. 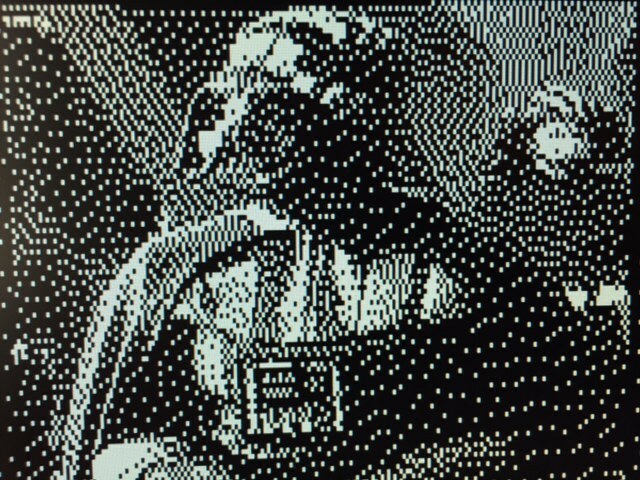 Crystal-clear SVGA display output for an 800x600 @ 60Hz monitor, no software required. One-of-eight selectable foreground, background, and border colors. 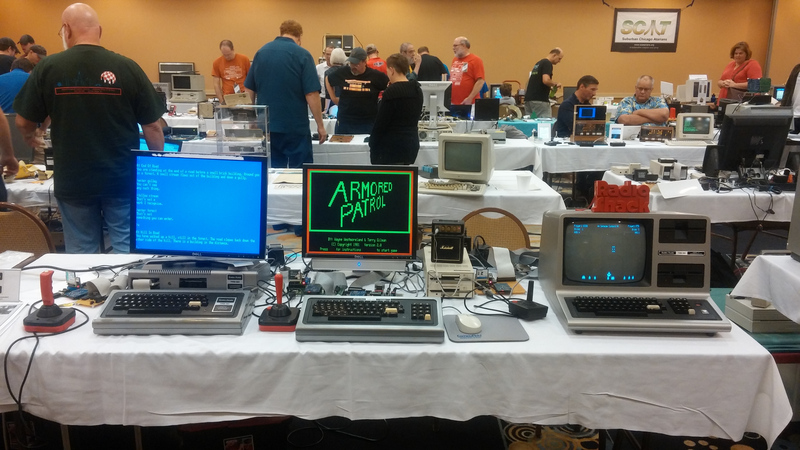 Emulation of the vintage high-resolution PCG-80 and 80-Grafix devices. 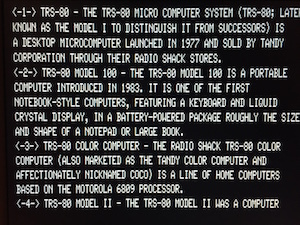 80-column text display mode available. 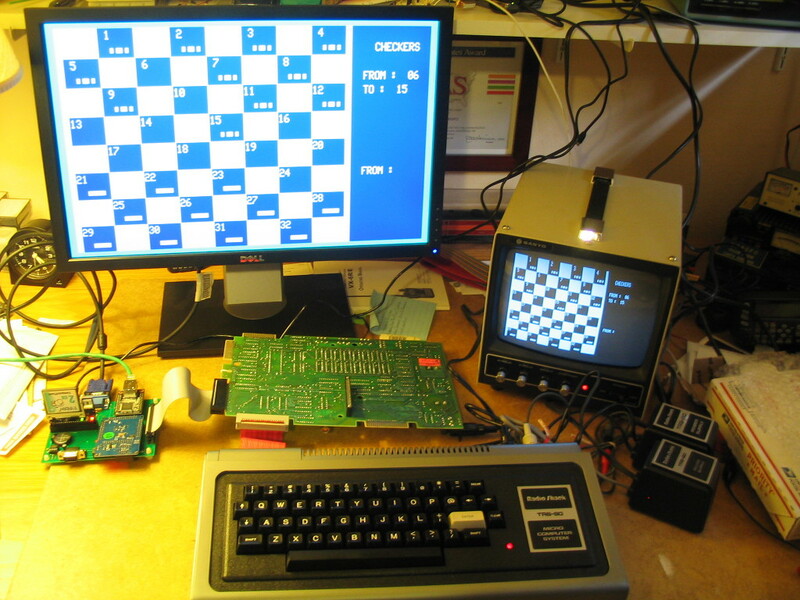 Using the VGA display is optional; you can still use the original CRT monitor if you prefer, or you can even use both at the same time. 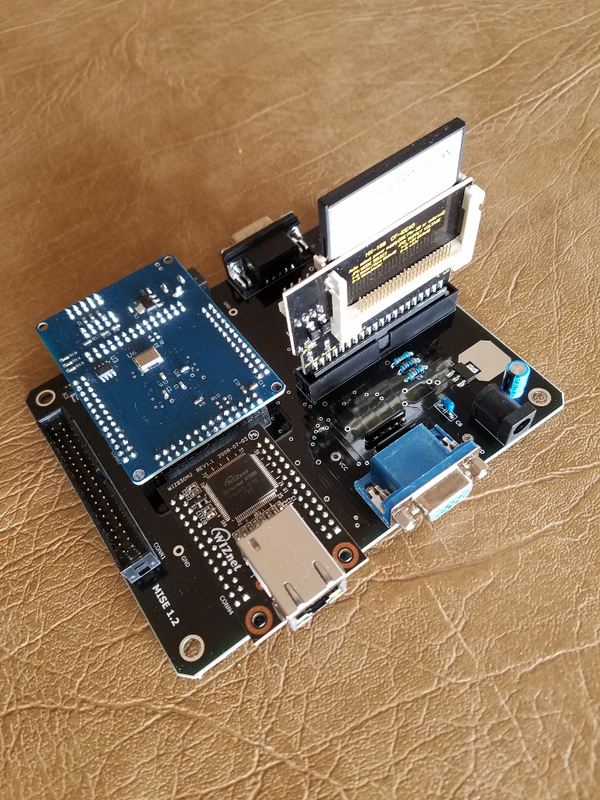 ROM extension including drivers for the hard disks, real-time-clock, and double-density floppy adapter, if you have one. None of these drivers need consume precious high memory. Joystick port for Atari 2600 compatible joysticks. 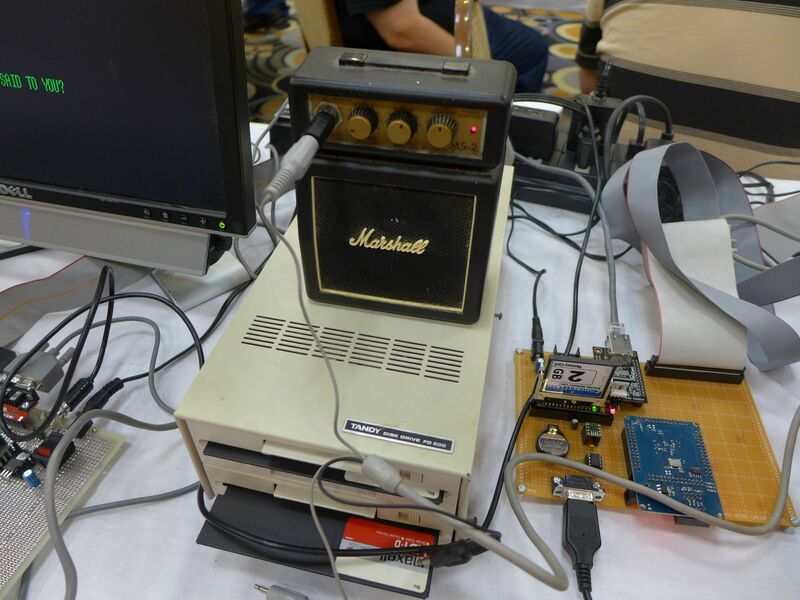 Works with most vintage Model I games. 256-byte general-purpose Flash EEPROM for persistent storage. The AC adapter (US-style plug, UL-listed) needed to power the MISE, and the ribbon cable to attach the MISE to the Model I, are both included. 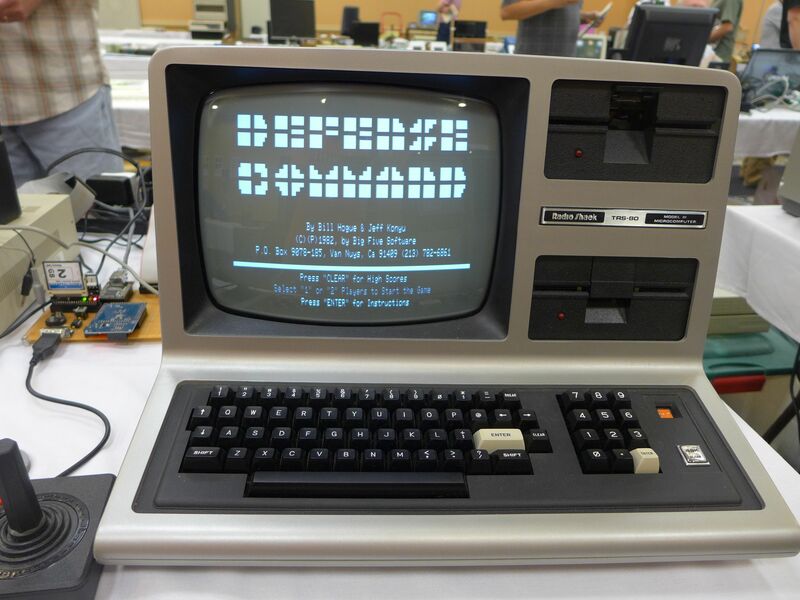 Minimum system requirements: TRS-80 Model I Level II with 16KB RAM; see Using the MISE with only 16KB RAM or without an Expansion Interface for more information. 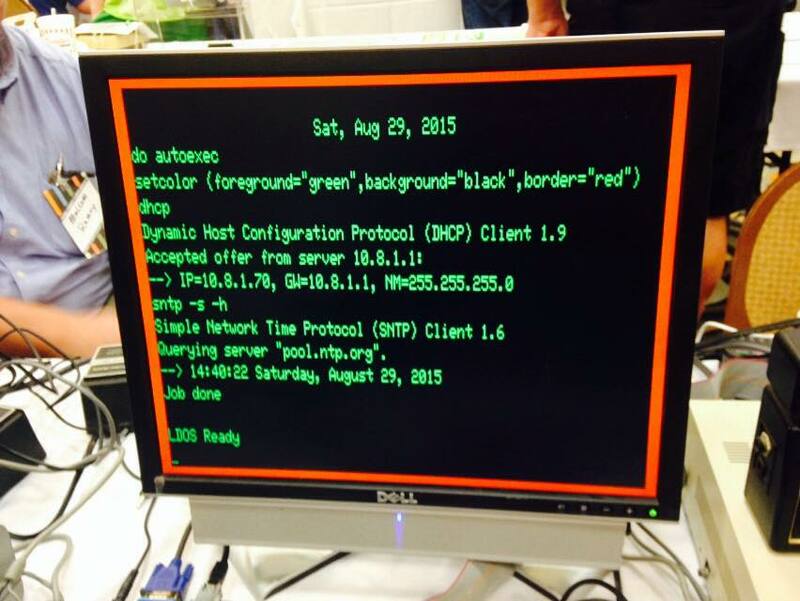 The Level II ROMs' floppy boot code must not have been modified or relocated. Highly recommended: Expansion Interface, 32KB total RAM. Suggested: At least one floppy drive, 48KB RAM. 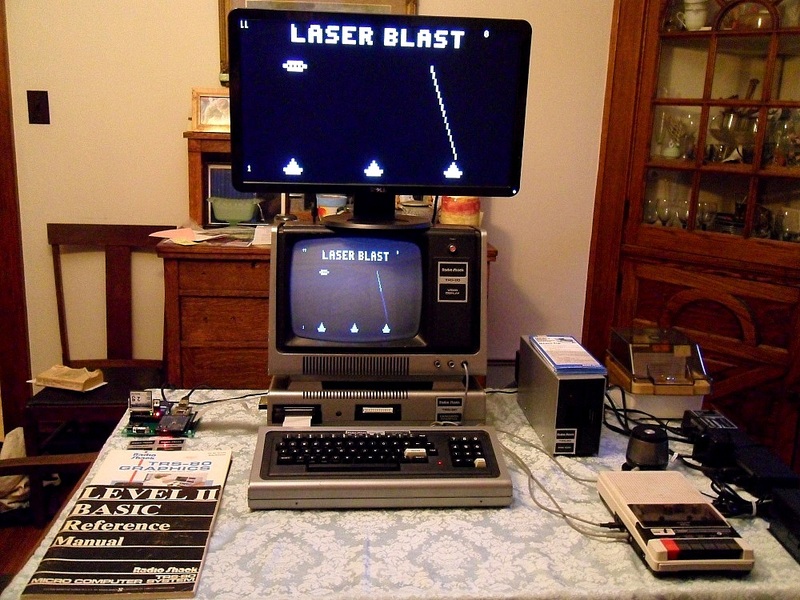 To reprogram the MISE FPGA with updates: USB Blaster or Byte Blaster II (parallel port), and free Quartus II Web Edition software from Altera installed. 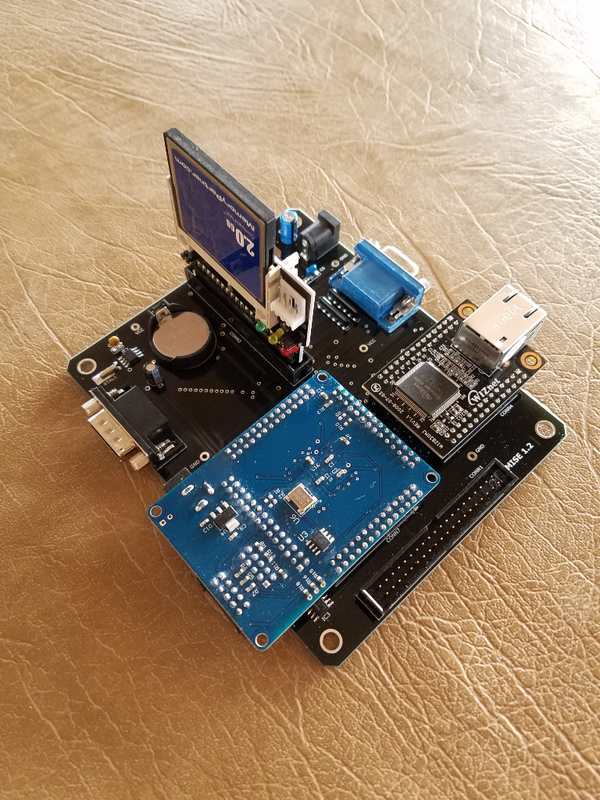 March 26, 2019: The new MISE version 1.2 PCBs are in, and units are being assembled to order. This revision is functionally identical to MISE 1.1, but has several physical changes... the most noticeable being that the boards are black instead of green. 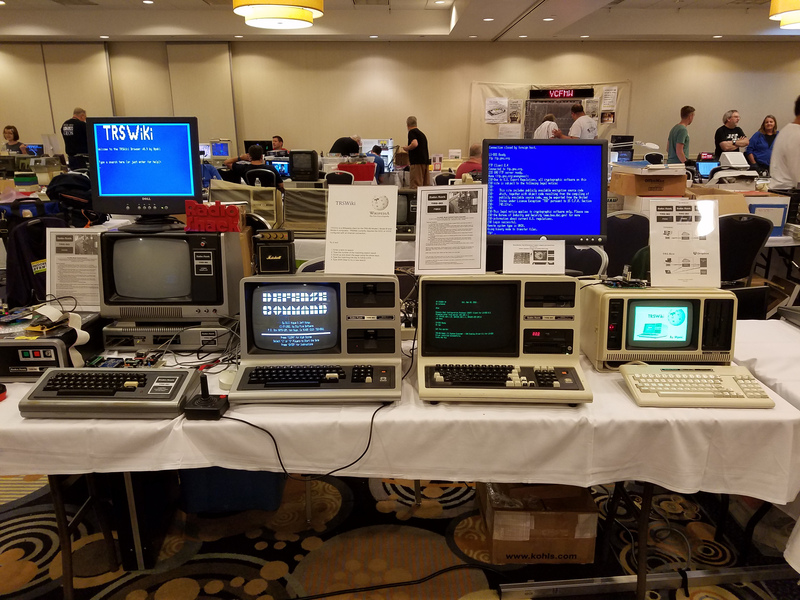 September/October 2017: MISE, M3SE, and MIRE at VCF Midwest 12 and Tandy Assembly! 24 December 2016: I'm happy to announce a price decrease on assembled MISE units and kits, due to lower production costs. 27 September 2016: I'm pleased to announce the availability of a very limited number of MISE kits. See here for details. 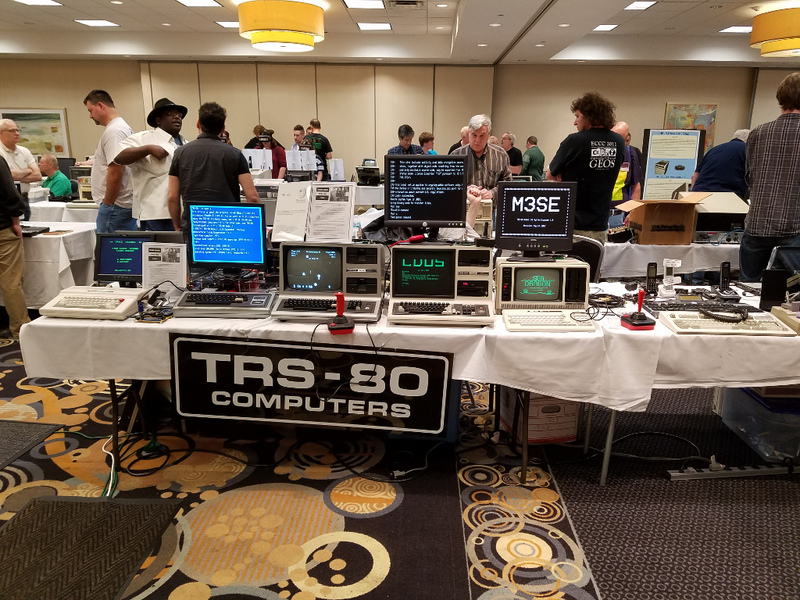 10 September 2016: MISE and M3SE at VCF Midwest 11! 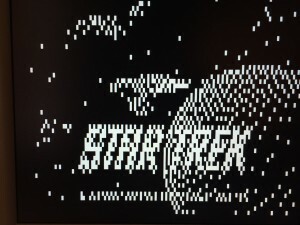 7 June 2016: The FTP client and the Ping utility have been added to the regular file archives and will be included with all future MISE deliveries. 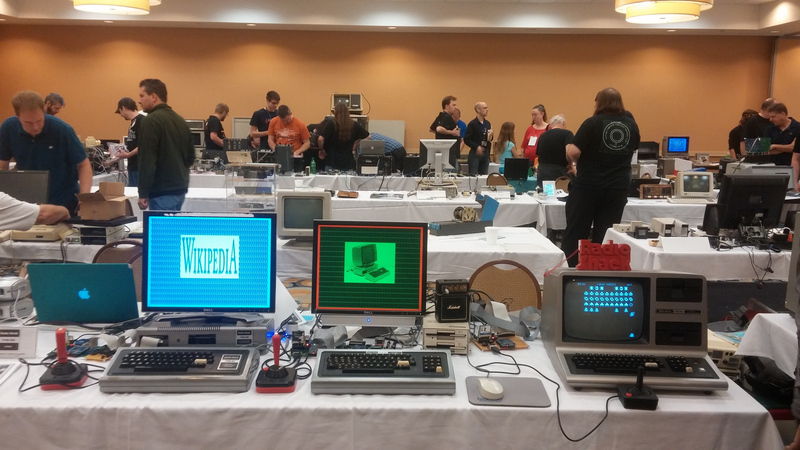 30 August 2015: MISE at VCF Midwest 10! In these photos you can see maybe one quarter of the main exhibit room. 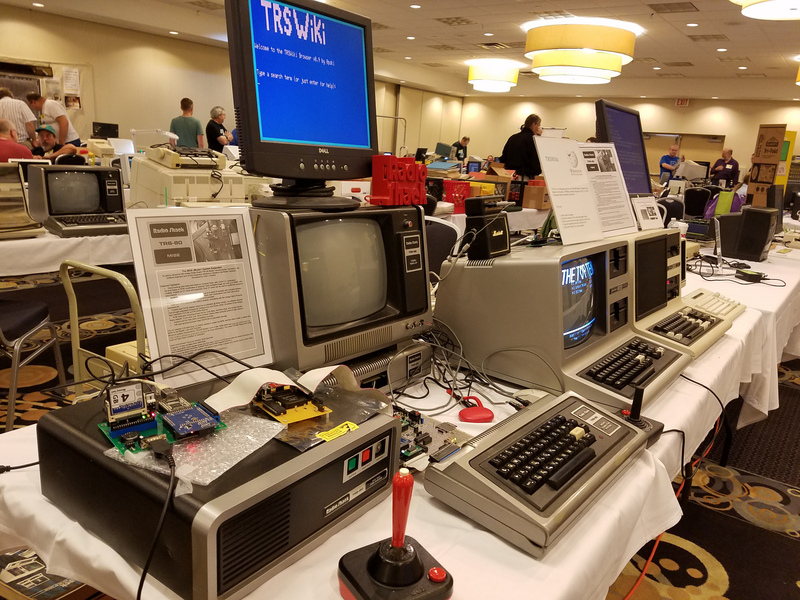 Many, many people stopped by during the show to take a look, play some games, and ask questions about MISE. The Model I in the center has the MIRE (Expansion Interface replacement project) prototype attached. 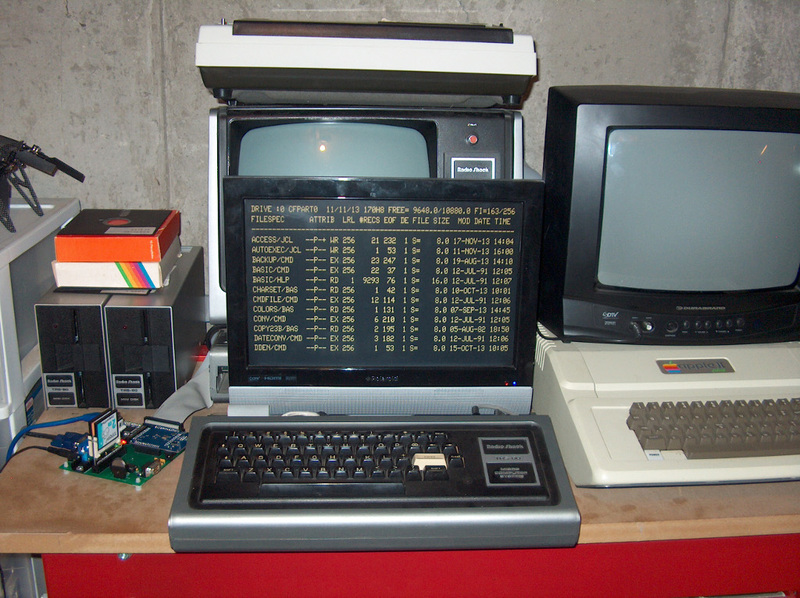 The Model III has the M3SE (MISE for Model III) prototype attached. Thanks to Malcom Ramey for supplying most of the hardware in the exhibit. 25 July 2015: I've filled most of the MISE pre-orders and have started putting units (one by one) on eBay. The eBay price is $350 including U.S. shipping. International shipping is extra. If you contact me directly rather than buying on eBay, the price is $330 including US shipping. 20 July 2015: New batch of PCBs is in. Will start building them out when work on the M3SE (subset of MISE for Model III) and MIRE (Expansion Interface replacement) allows. Shoot me an email if you want to obtain a MISE. But What Can I Do With It? Well, how about browsing Wikipedia with Peter Cetinski's TRSWiki project? Here's a PDF of the documentation thanks to Richard Zimmerman. MISE comes with LDOS-5.3.1 pre-installed, including Matthew Reed's "Year 2012" patches. Roy Soltoff has made LDOS freely redistributable. It is being provided free of charge. All software needed to use and reconfigure the CF hard drives is included. 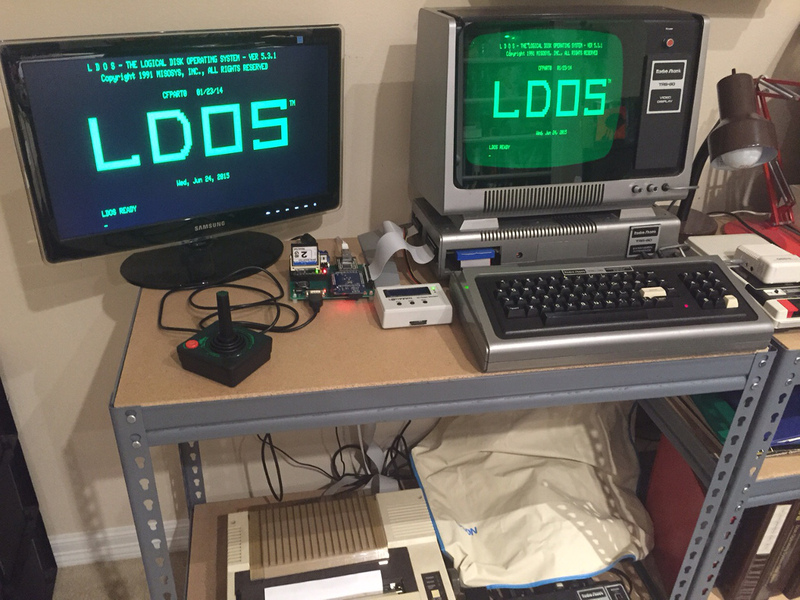 Some programs are modified versions of the LDOS originals, and some are custom. Miscellaneous other utilities and demo programs, as described in these pages, are also included. 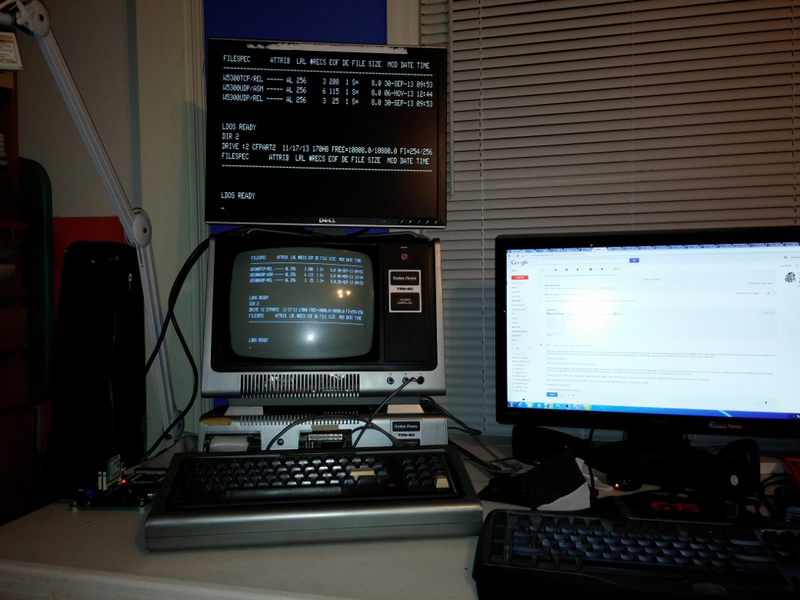 The Misosys MRAS assembler and SAID full-screen text editor. Alpha Products Newclock-80 utilities. The program TIMESET/BAS must be updated to allow years > 1999. 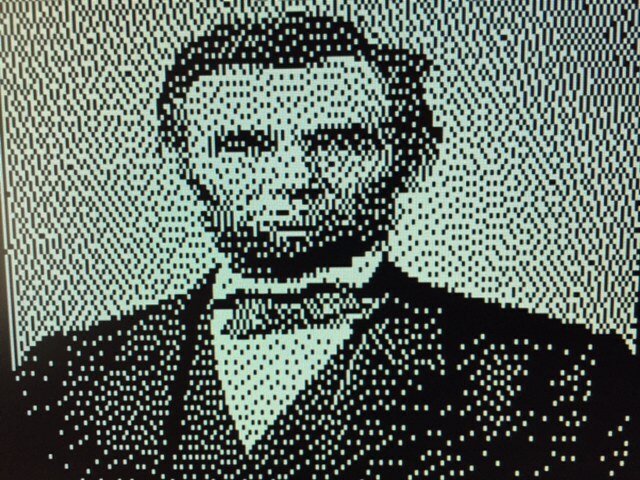 Hi-resolution graphics demos. One package by called "Hires80" by Ralph Burris has quite a few examples. 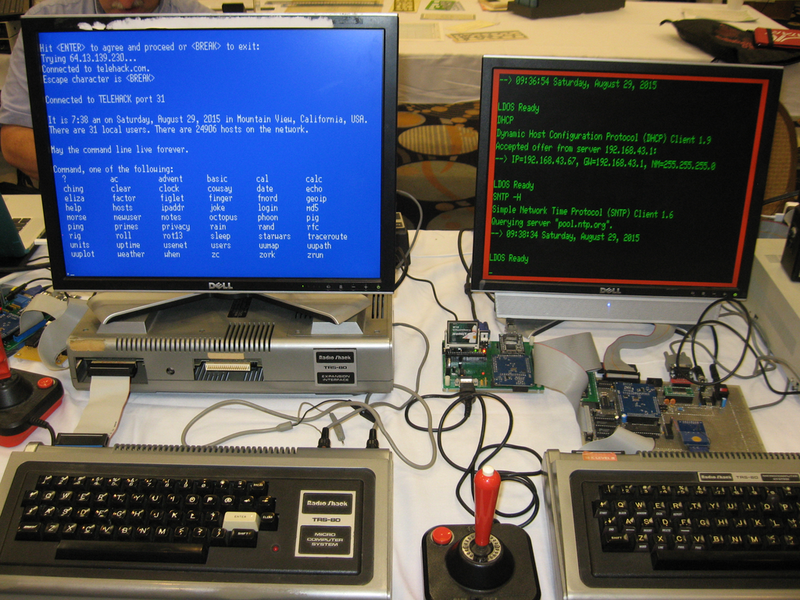 Games for use with the joystick. The ones by Wayne Westmoreland and Big Five Software are very good. 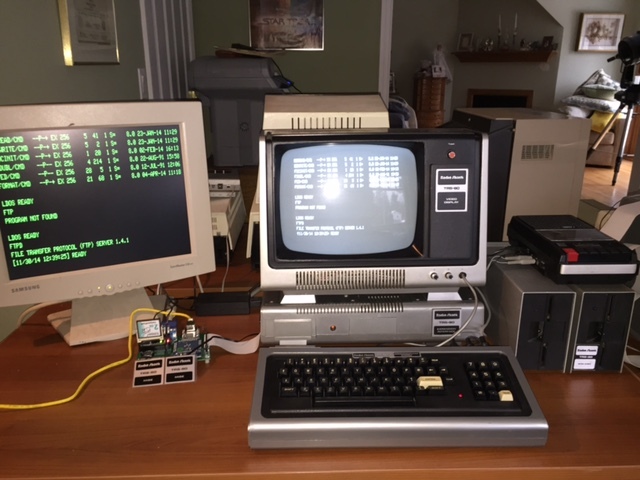 Once you've obtained the software, simply use the FTP server to copy it to your TRS-80. 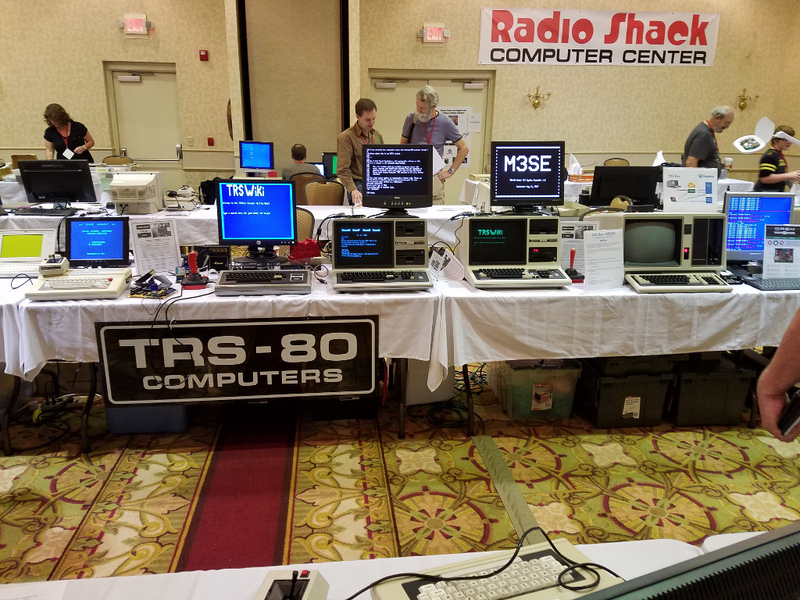 The TRS-80 Yahoo group where MISE was introduced and is occasionally discussed. 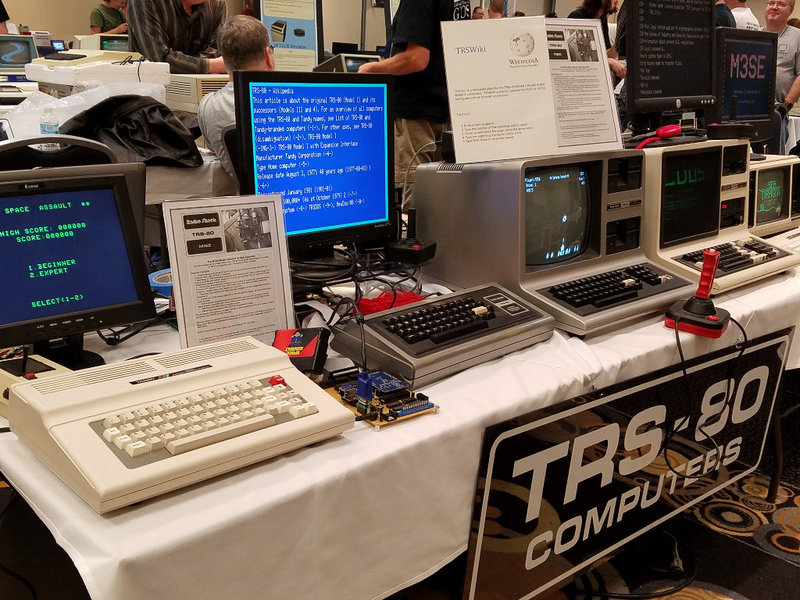 The Floppy Days Vintage Computing Podcast, which often discusses the TRS-80. Pay special attention to Episode 20! 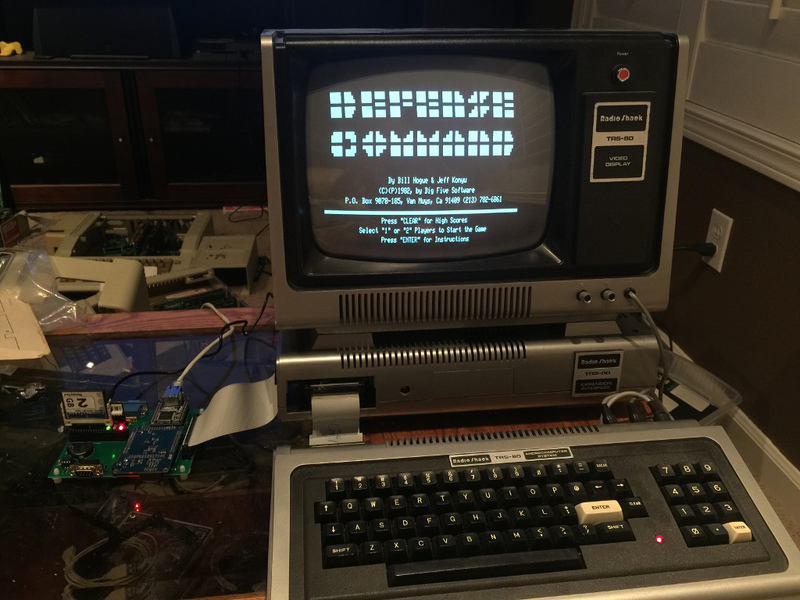 The TRS-80 Trash Talk Podcast. 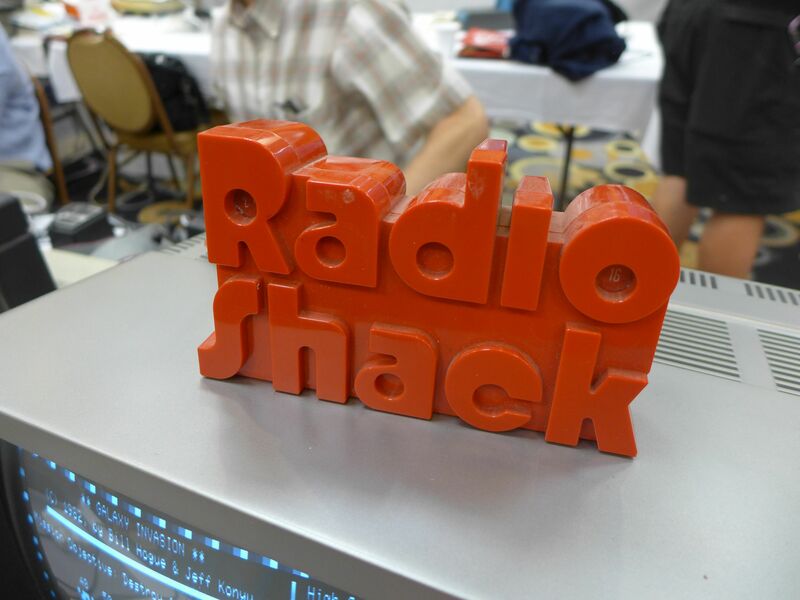 The Vintage Computing Forums' Tandy/Radio Shack Forum. 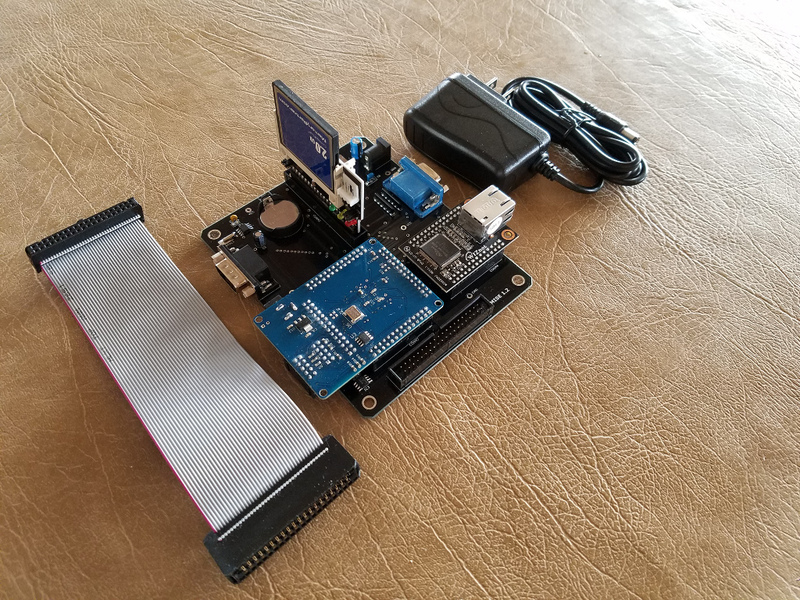 arcadeshopper is selling a 3d printed MISE enclosure.